Sources have confirmed to us that Tim Miller of Deadpool fame is hard at work developing a solo movie for the famous phasing member of the X-Men, Kitty Pryde, to potentially direct. Best known by the codename Shadowcat, but also taking on the aliases of Ariel, Sprite and even the mantle of Star-Lord over the years, Pryde is a mutant with the ability to “phase” or become intangible, which basically allows her (and anything she’s touching) to pass through solid objects, disrupt electromagnetic fields, and even levitate. 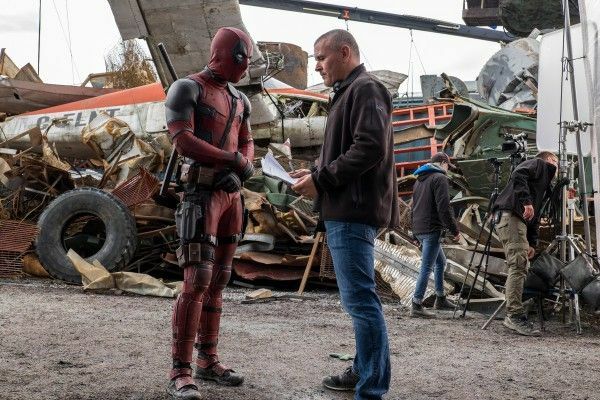 Miller’s setting the project up at 20th Century Fox, the current home of Marvel’s X-Men, X-Force, Wolverine, The New Mutants, and the aforementioned Deadpool titles, but the much-publicized potential buyout by Disney will almost certainly complicate things. To be clear, a Kitty Pryde movie is very much in development at Fox by Miller at the moment, but even without the expected merger valued at $52.4 billion, a movie that’s in development doesn’t necessarily end up going into production. Just look at the list of “announced” projects for super-producers like Steven Spielberg or Ridley Scott–who just added a possible Disney project of his own–to get an idea of how many pictures are in development versus how many come to pass. Factor in that Miller himself is currently producing a Sonic the Hedgehog movie for Paramount and will be directing the new Terminator film for the studio for a 2019 release, and then add in the fact that the regulatory review of the Disney/Fox merger should take anywhere from 12 to 18 months (if it is approved at all) and things get a bit more complicated. But Fox isn’t just sitting around waiting to see if they’ll be folded into Disney or not; they have to actively pursue movie projects like normal. Neither is Miller taking a “wait and see” approach. While ultimately Kitty Pryde might never hit the big screen, the fact that he’s actively developing the picture is an interesting and exciting bit of news. (Again, we want to stress that this film, in its current version, might never see the light of day due to any number of reasons, from Fox passing on it, to Disney scrapping it completely, to a Disney and Fox potentially working out some sort of compromise if the merger deal falls through.) If Kitty Pryde does come to pass, it will be the first time the Marvel mutant gets her own big-screen title and would follow sometime after Simon Kinberg‘s upcoming film X-Men: Dark Phoenix. Not a bad pair of films to celebrate Fox’s first female leads for a Marvel title since the beleaguered Elektra.